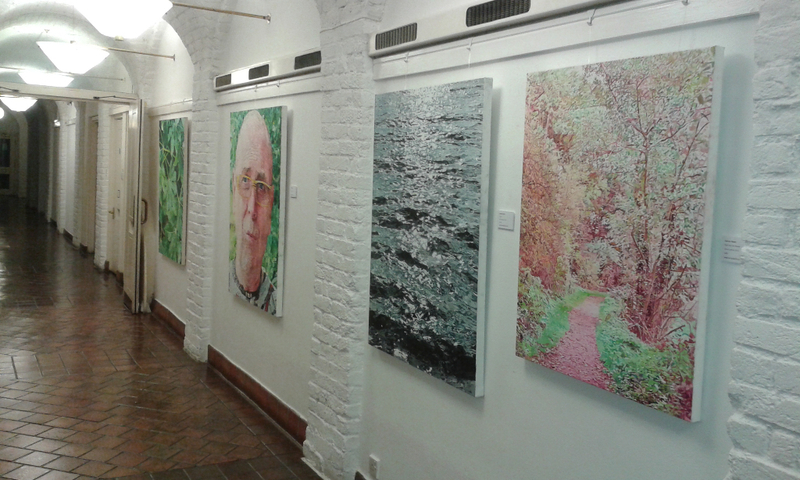 Solo show of paintings at the Minories Gallery in Colchester. Private view is on Friday 5th January 2018, 6pm-9pm. 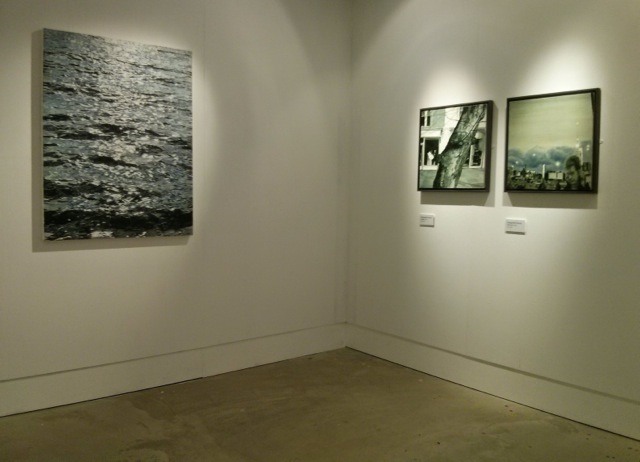 The exhibition is then open from Saturday 6th January until Thursday 25th January, The gallery is closed on Sundays. 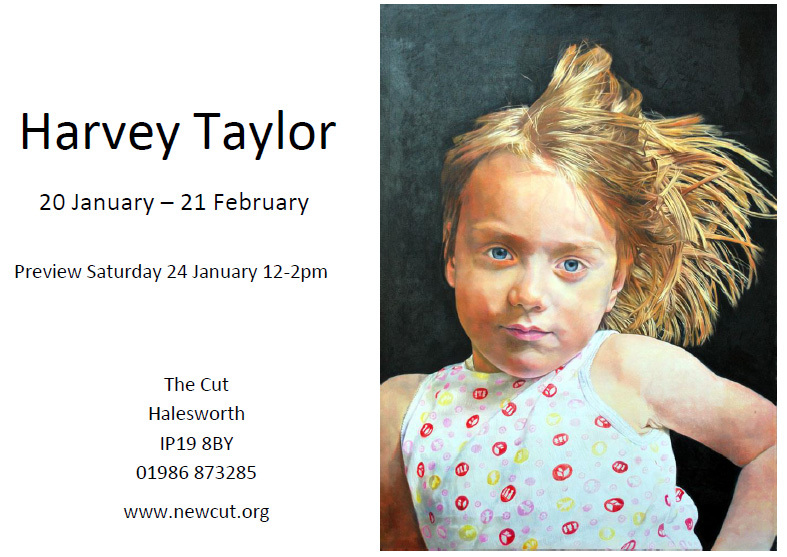 The title of the show is Collected Works by Harvey Taylor. 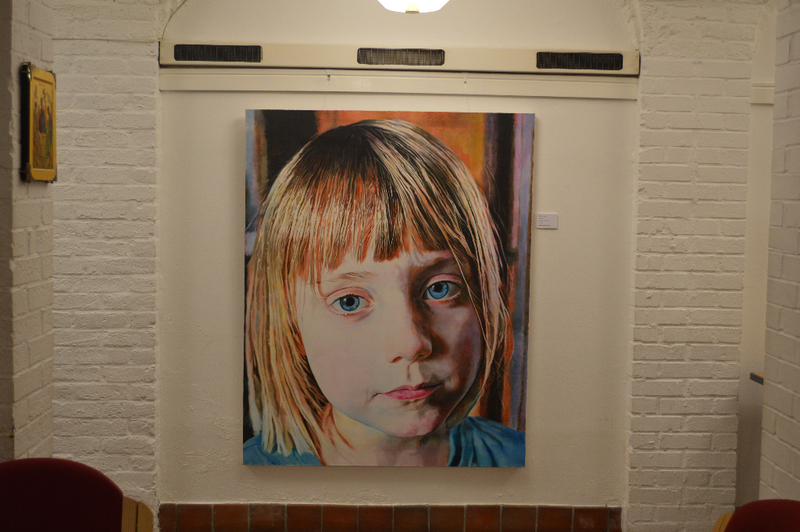 I have a small painting in a CBP group show at the Crypt Gallery. Two paintings selected for the 57th Essex Open at Southend. My painting won the most votes in the People's Prize category of the Celebrate Landscape competition at the Art Exchange, Essex University. 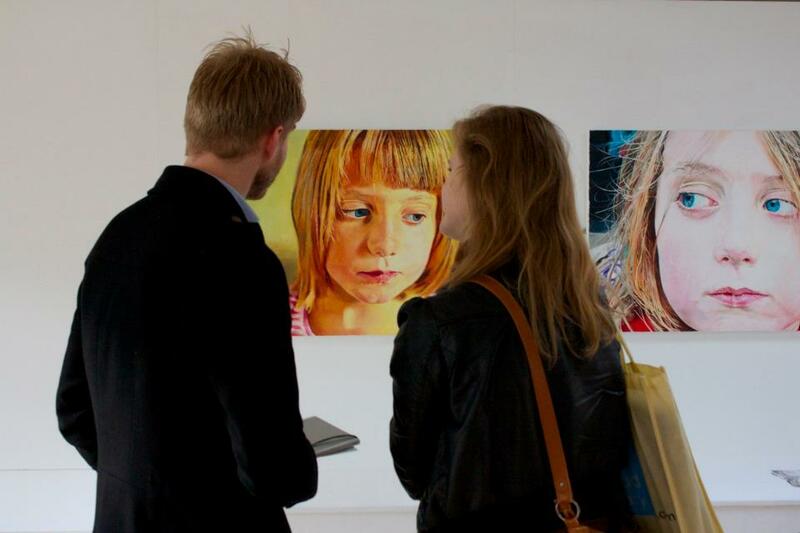 Over 1000 people visited the exhibition and 600 took part in the vote for the prize. 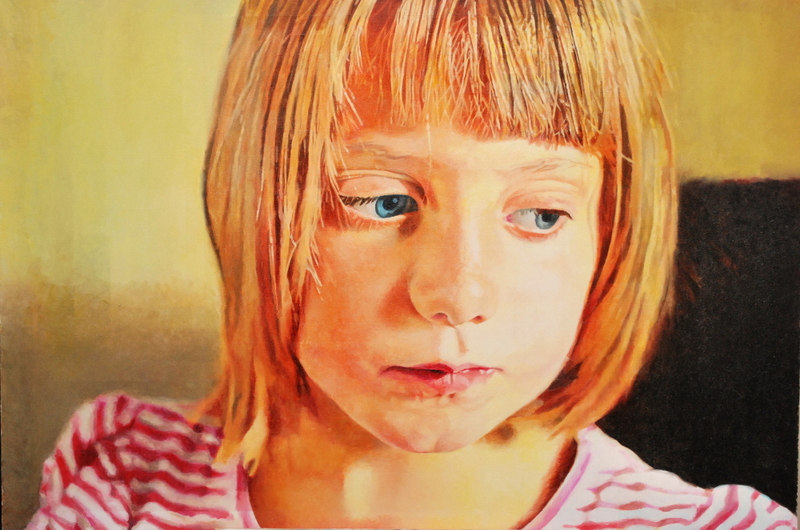 My new Phoebe painting is in the Firstsite Open, Colchester until November 22nd 2015. Link to Youtube video - my work is towards the end. Into the Woods III had made it into the 56th Essex Open at the Beecroft Gallery in Southend. The exhibition is from July 25 - October 10 2015. My painting 'Winter Phoebe' was at the Sentinel Gallery in Wivenhoe until 28th April 2015. 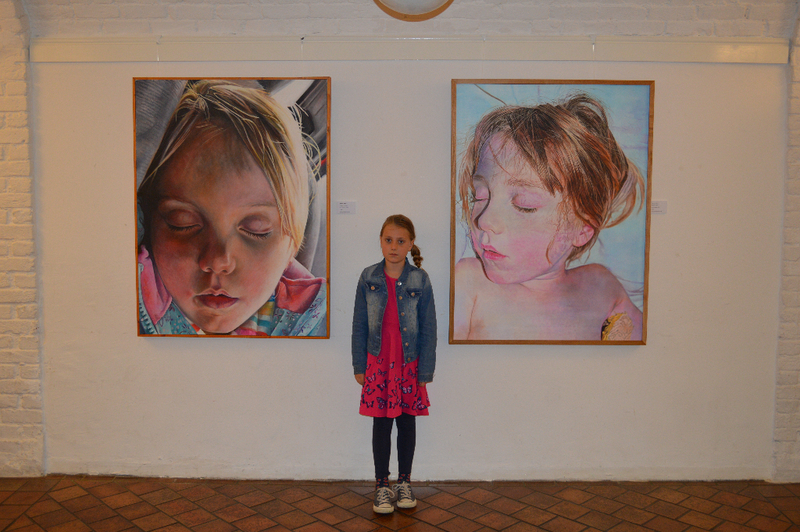 Solo show at The Cut, Halesworth, Suffolk, UK. 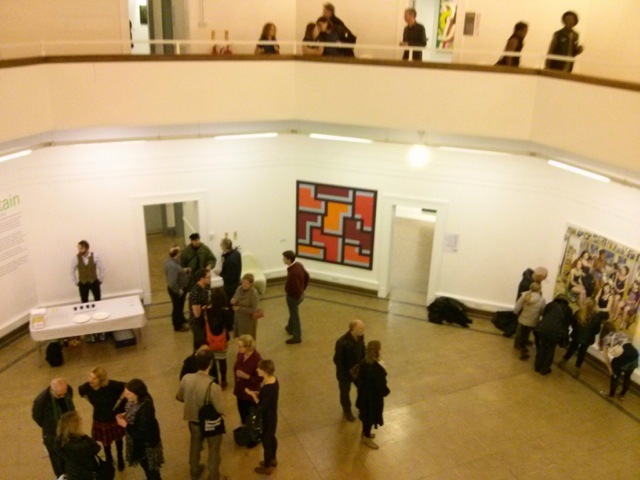 The @paintbritain show opened at Ipswich Arts School today. 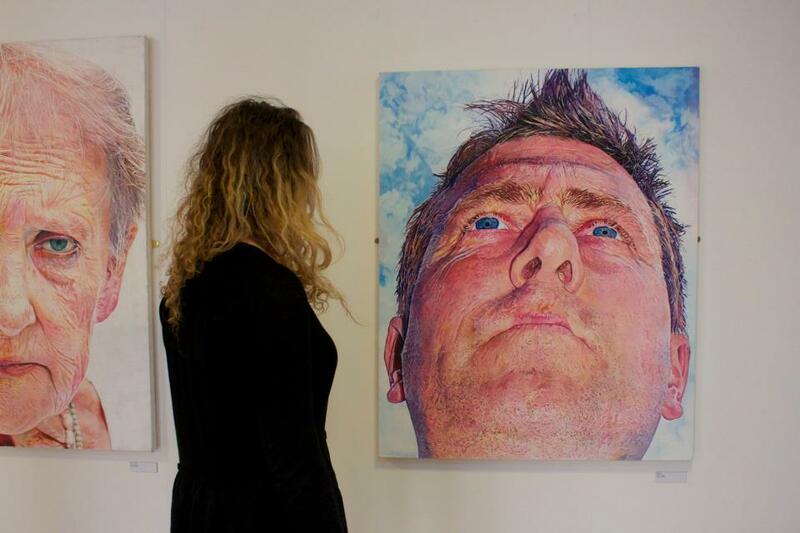 The group exhibition runs until the end of January at the Ipswich Arts School. My sea painting - Sea II - is in the show. One of my sea paintings is part of the Priseman-Seabrook collection. 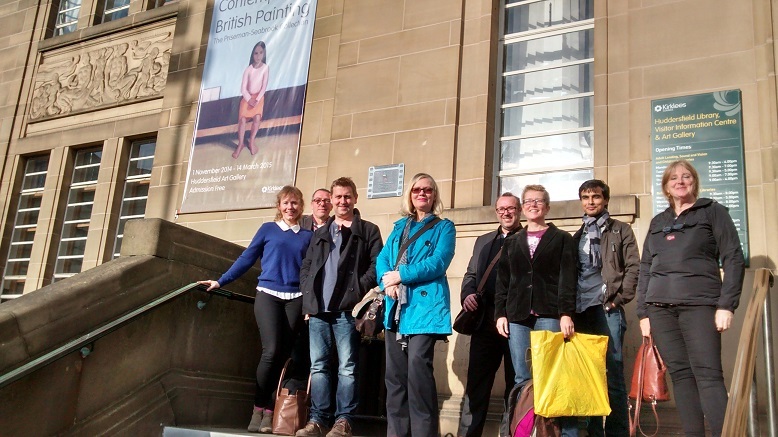 the collection will be on display at Huddersfield Art Museum from 1 Nov 2014 until March 2015. My Sea painting will be on show at the Ipswich Arts School from November 15th until end of January. It is part of a group show called @paintbritain. 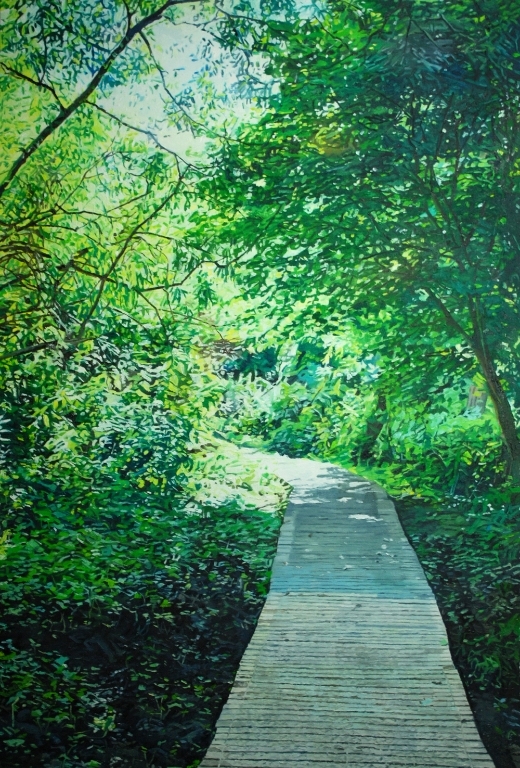 Both 'Path into the Woods' and 'Path into the Woods II' were sold to a collector in America, through the Saatchi website. 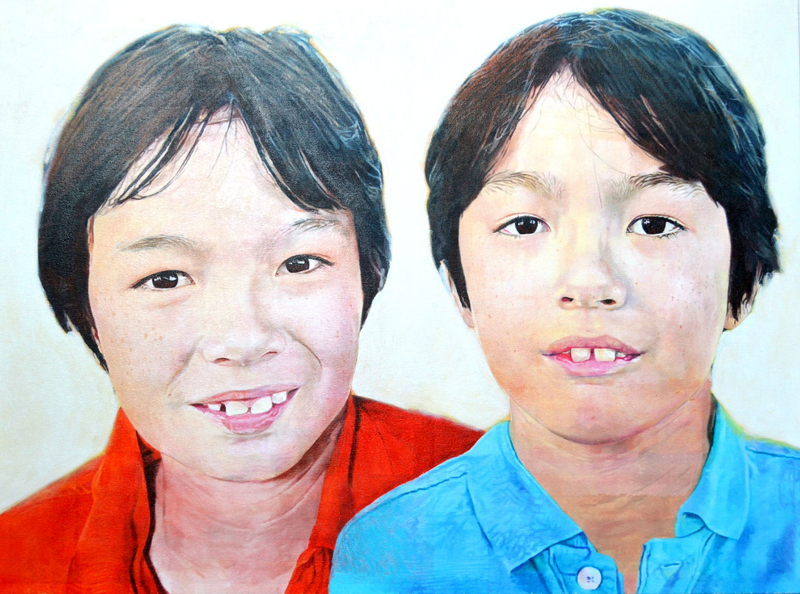 Also working on a double portrait commission for Yo-Hann Tan, a collector in Singapore. Here is the finished painting - 48" x 36" - oil on canvas. 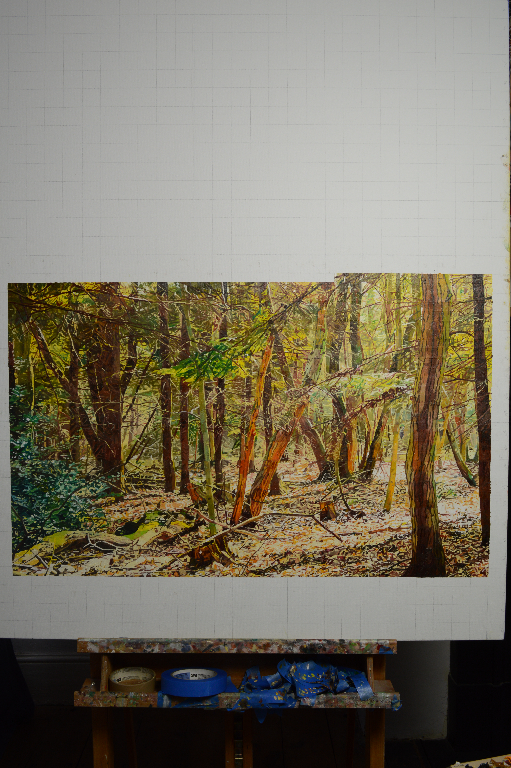 Painting in progress - The Woods III - the final painting will be 120 cm x 90cm - oil on canvas. 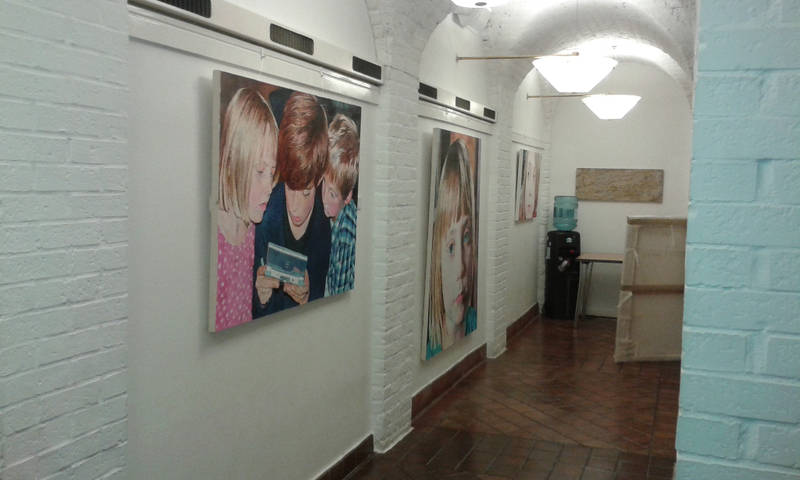 Solo show at St. Marylebone Parish Church London, in the crypt. 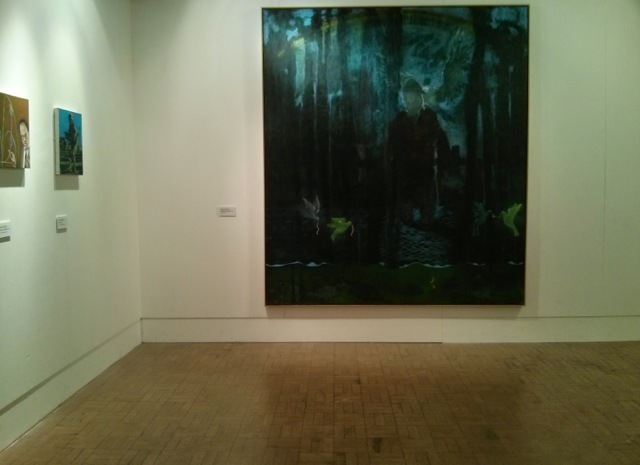 As part of the Contemporary British painting group I had a solo show of selected paintings. The show ran from 4 May until 29 May 2014. 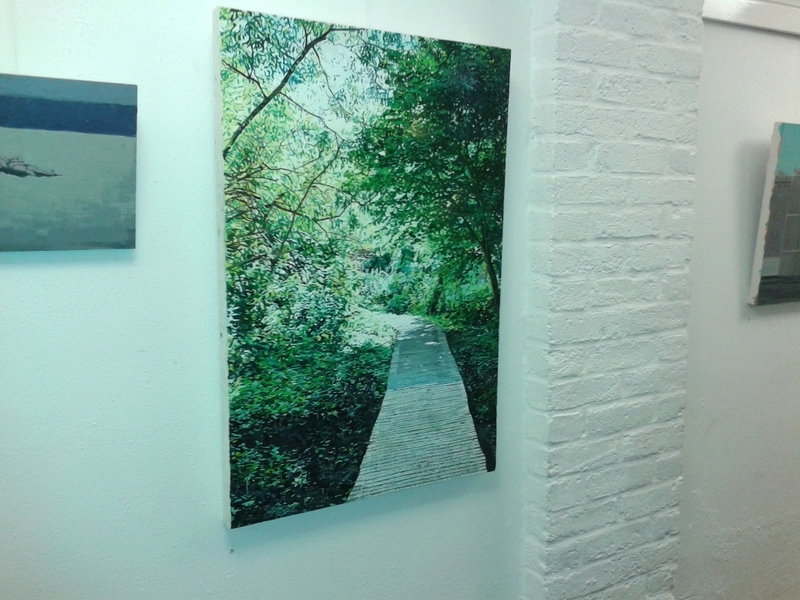 Path into the Woods, on show at the Contemporary British painting Group show at St. Marylebone Parish Church, in the crypt. The show was in December 2013. 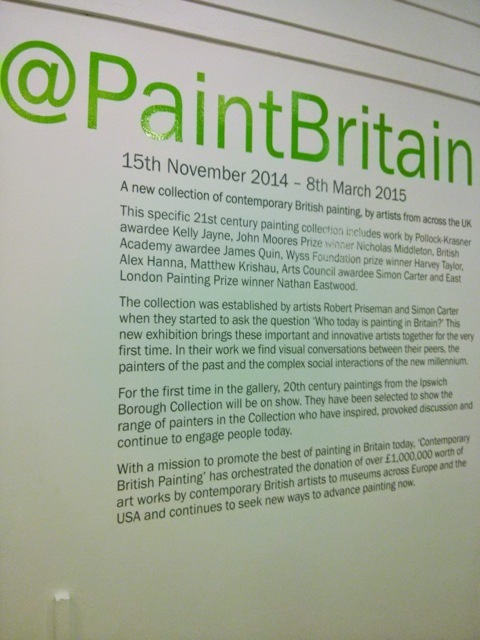 "Contemporary British Painting presents a new platform for contemporary painting in the UK. 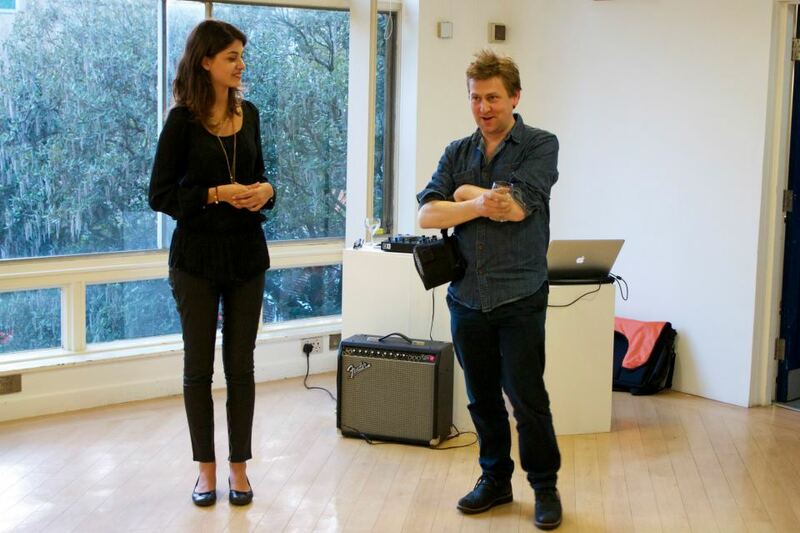 Monthly solo shows take place in the Marylebone Parish Church Crypt . 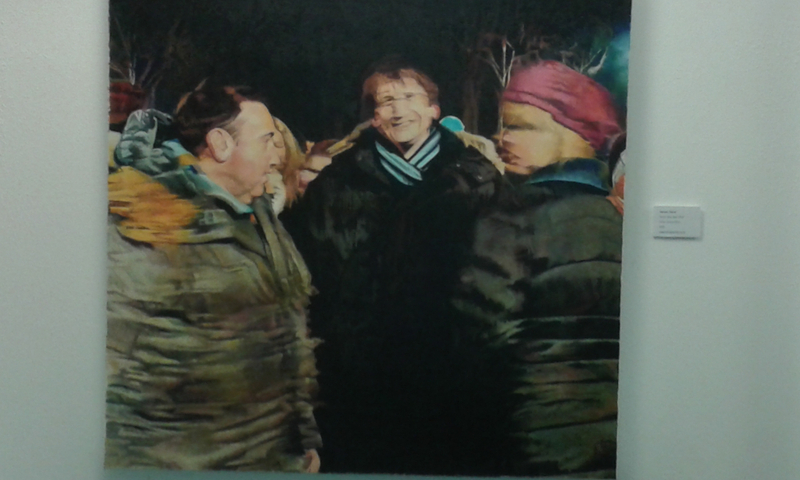 The group show during December has several of the painters involved in the programme showing their work. The exhibition runs until December 28." 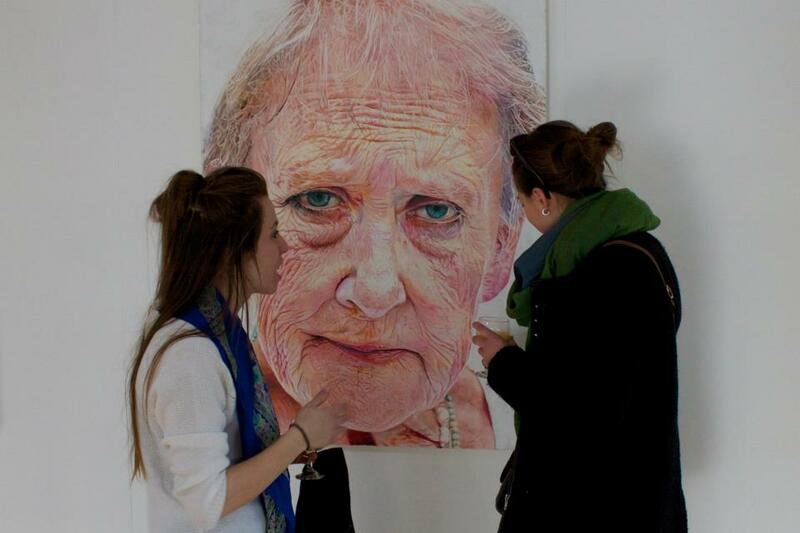 My painting Mum is in the East Contemporary Art Collection at University Campus Suffolk. 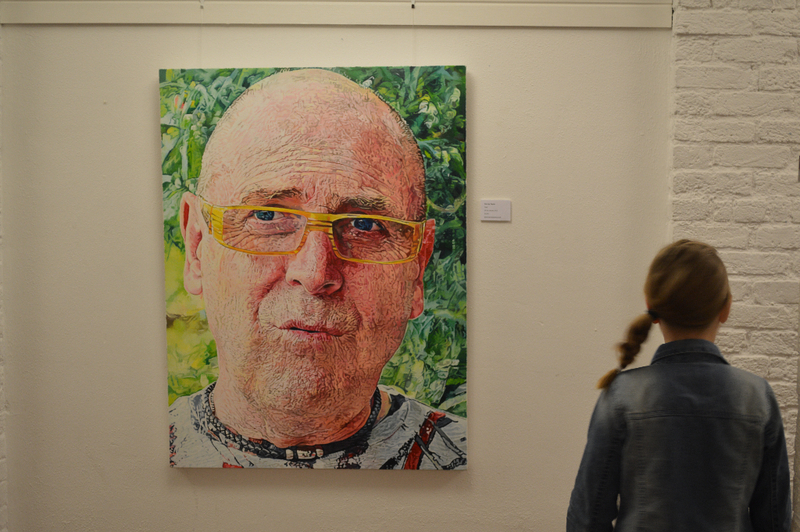 It was on show at the Waterfront Gallery in Ipswich from 24 September until 13 November 2013. 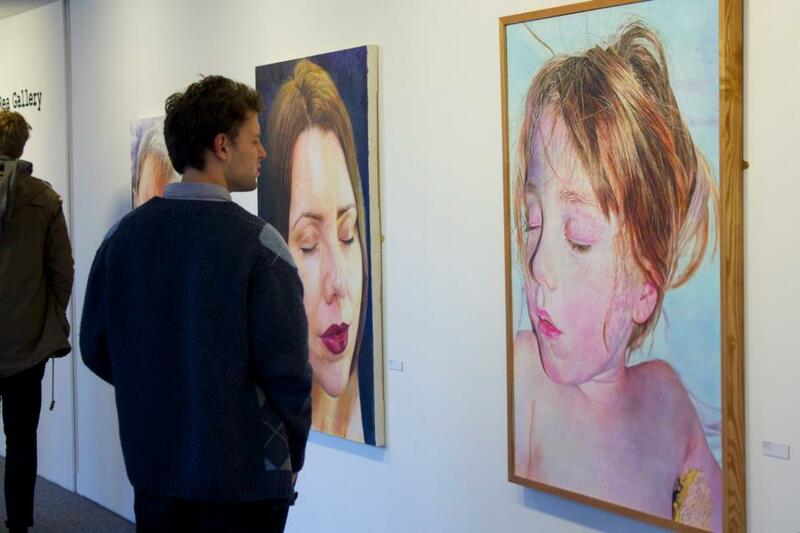 "To launch the East Contemporary Art collection University Campus Suffolk (UCS) is planning a series of exhibitions in the Waterfront Gallery which will showcase the vast range of artistic talent and excellence within the collection. The first exhibition will be the launch of the collection which due to the size of the gallery will be scheduled in two parts. The first will open on the evening of the 24 September to 13 November and the second on the 27 November to 16 January 2014. Richard Allen, Esmond Bingham, James Dodds, John Doubleday, Charles Debenham, Steve Downey, Wendy Elia, Anne Schwegmann-Fielding, Jane Frederick, Barbara Howey, Jo Howe, Maggie Hambling, Elizabeth Hughes, Linda Ingham, Gary Malcolm Johnson, Jacqui Jones, Tory Lawrence, Helen Napper, Nicholas Middleton, Malcolm Moseley, Caroline Mc Adam, Caroline Munn, Gideon Pain, Justin Partyka, Barbara Pierson, Freya Purdue, Alex Pearl, Arabella Shand, Sarah Sabin, Ron Sims, Harvey Taylor, Gemma Watts and Mary Webb. 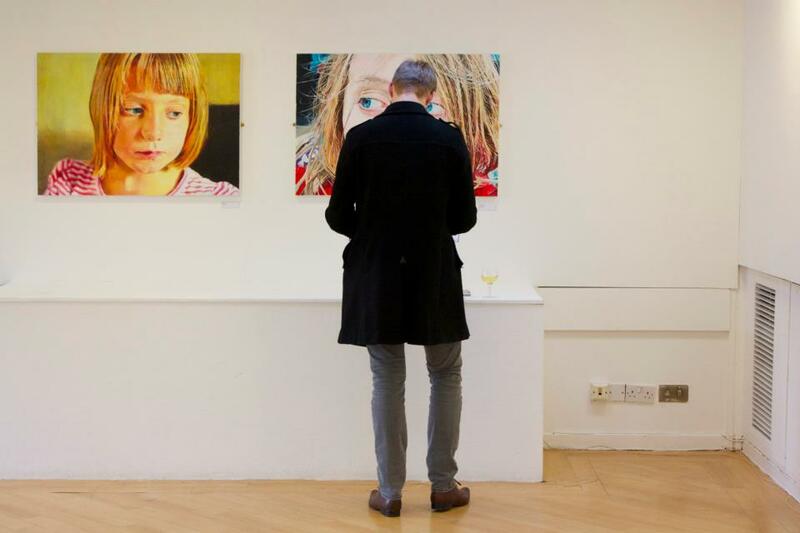 ( 33 artists)"
July 2013 - My painting Phoebe Looking Down is in the Falmouth Art Gallery collection. 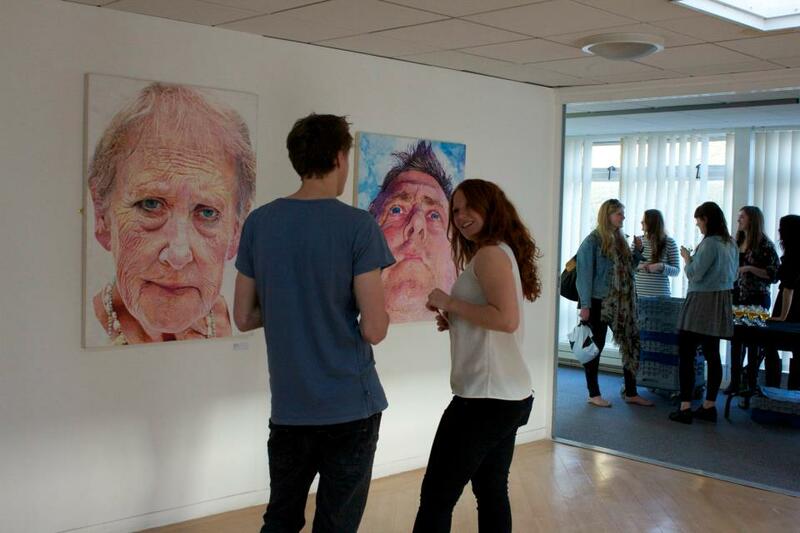 July 2013 - My painting Mum is now in the East Contemporary Art Collection at the University Campus of Suffolk. Here are some pictures of my show at the Norman Rea Gallery at York University - May 2013. 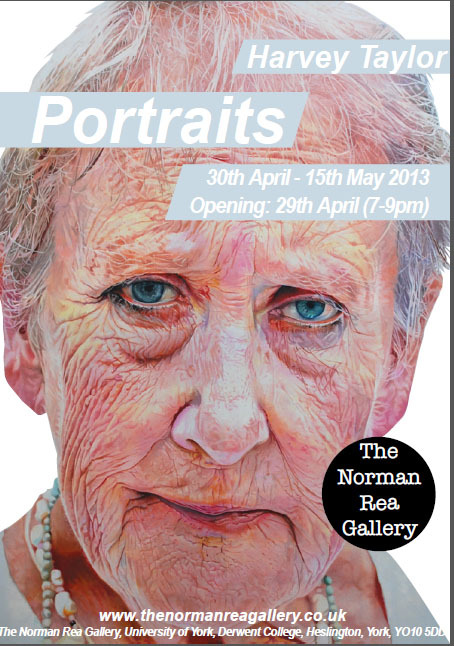 My exhibition of Portraits at the Norman Rea Gallery, York University on 29th April 2013 and runs for two weeks. 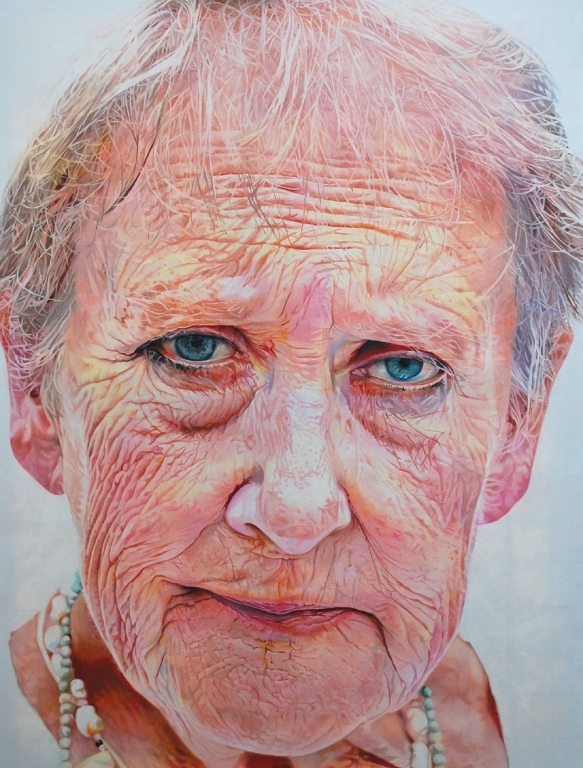 "The exhibition draws together a group of large-scale portraits depicting members of the artist's family. The oil paintings, which are tributes to those closest to me, are scaled up from digital photographs taken by the artist." 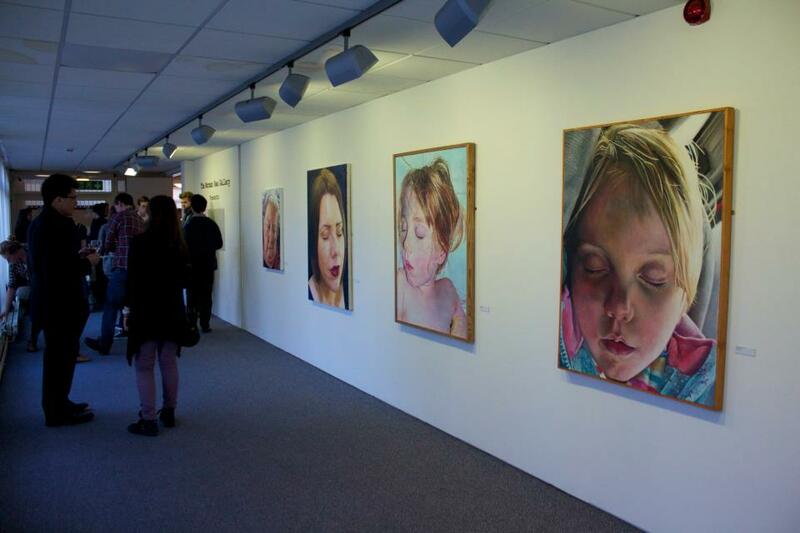 The Norman Rea Gallery is a university campus art space that promotes the work of both students and professional artists, practicing in a huge range of media. 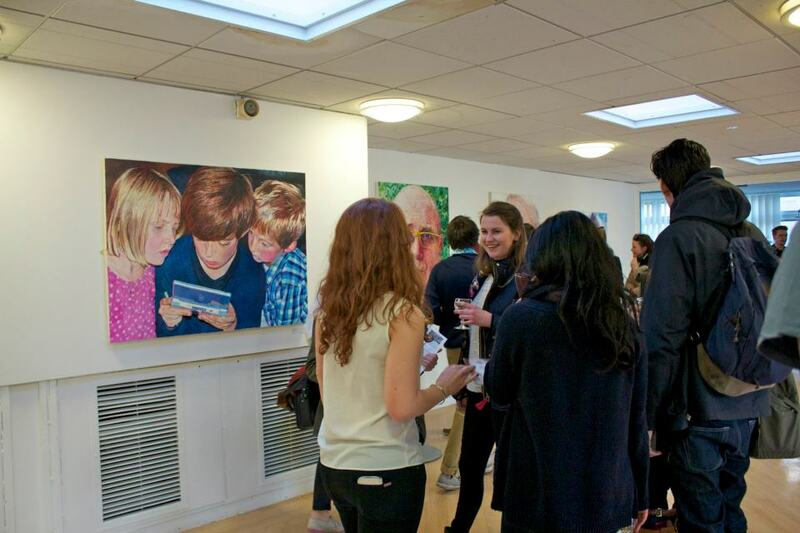 The gallery is run entirely by students for the enjoyment of the whole of campus and the wider university community. 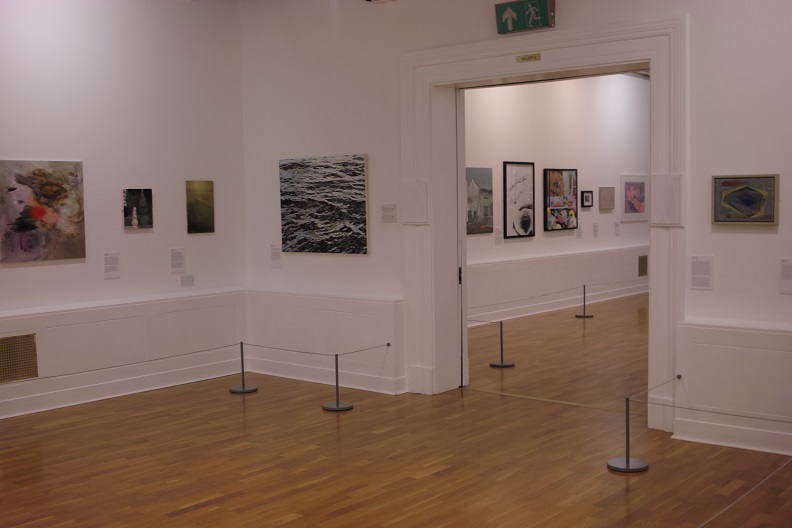 The gallery hosts three exhibitions a term with lectures, seminars and events. My work has also been selected by Robert Priseman to be part of an exciting project called 'Contemporary British Painting'. This group includes some great painters including Robert Priseman, Simon Carter and Nick Middleton. There will be 24 painters and each one will have a solo show at St. Marylebone Parish Church in London. The group has a website - Contemporary British Painting - here is the page listing the artists in the group.